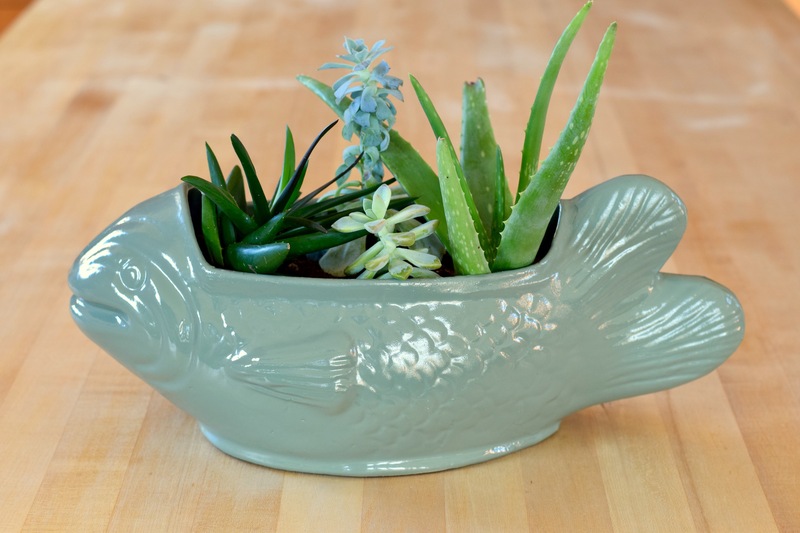 I planted succulents in Fred the Fish!! He looks amazing!! I am so excited to share this with you today. Fred has finally become his true self. His awesome self. Oh, Fred, how I love thee!!! I might be a little too excited about this! As you might remember I got Fred from a pile of my grandmother’s belongings after she passed away in April of 2014. 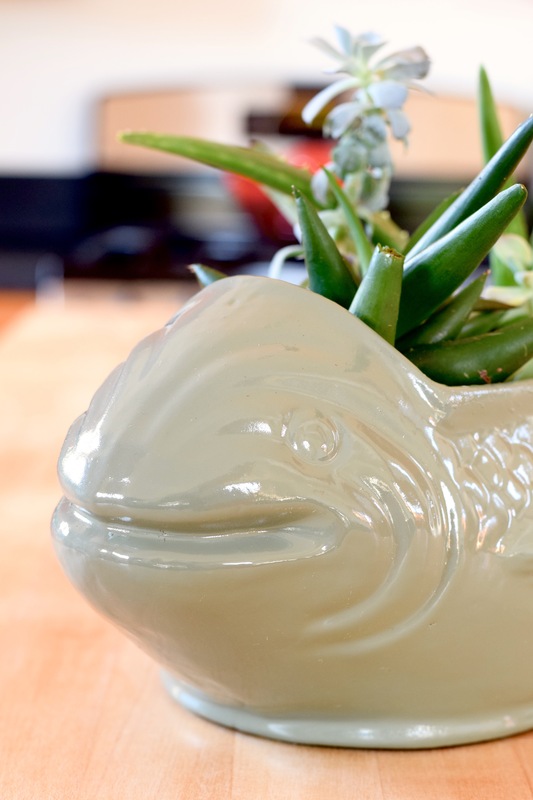 He was a dirty brown fish complete with chips in his cheeks and an ivy plant that had outgrown his capacity. Once I’d repotted the ivy and cleaned him up he was looking like this. Brown, ugly, chipped, dirty, sad. It was time to let his true potential shine through! I turned to Rust-oleum’s Sage Green Gloss spray paint to help me turn him around. Now the ivy is gone, the chips are disguised, and he glistens with a glossy coat of sage green paint. Beautiful! He was by no means done though. Months ago, I mean, seriously, months ago, I was wondering through IKEA and saw their succulents which we only a couple of dollars each. I bought four with Fred in mind. Then I left them in my bathroom and ignored them completely except for the occasional watering. 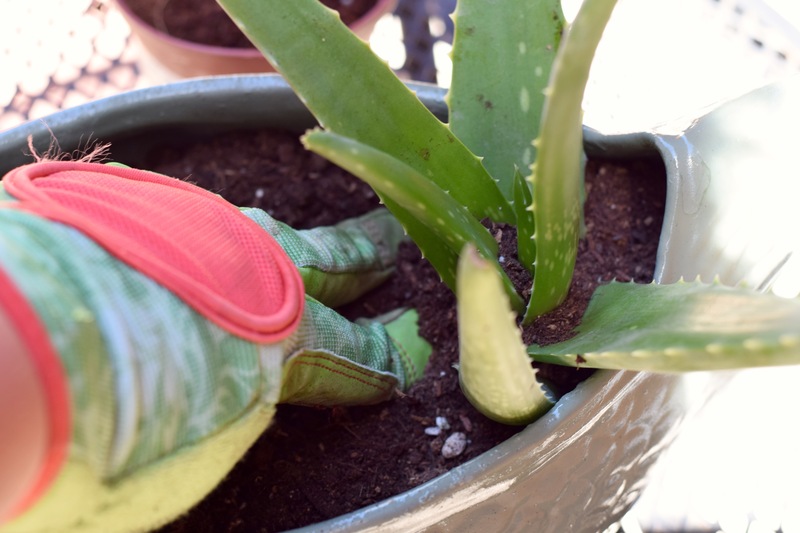 Now that Fred was looking all spiffy, it was time to plant them!! I took Fred to the five foot wide stretch of space between our house and our fence and set up my make-shift potting area. 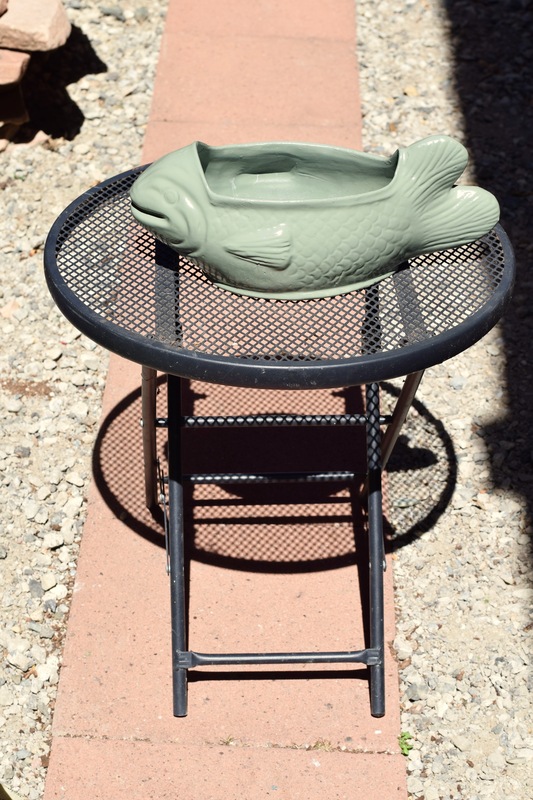 First, I stole the little round side table from our courtyard and plopped Fred down on that. Then I got out my gardening gloves and spade. 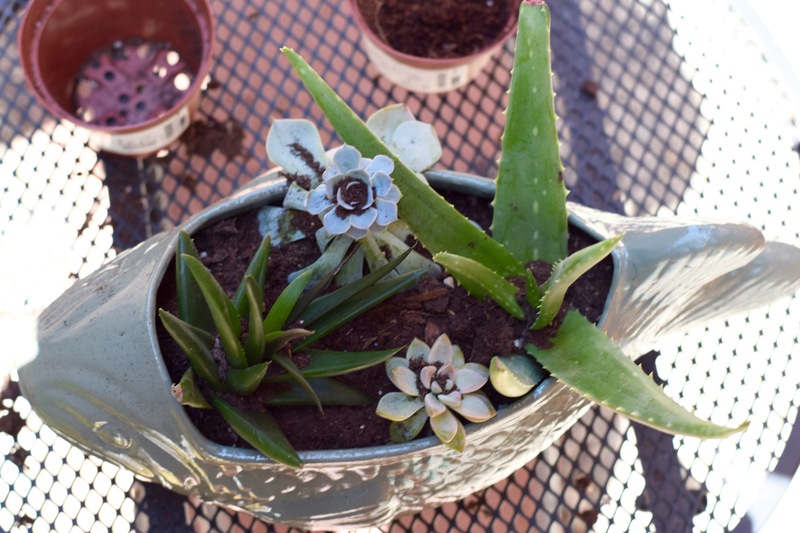 Before I could break out the succulents, I needed to add good drainage. 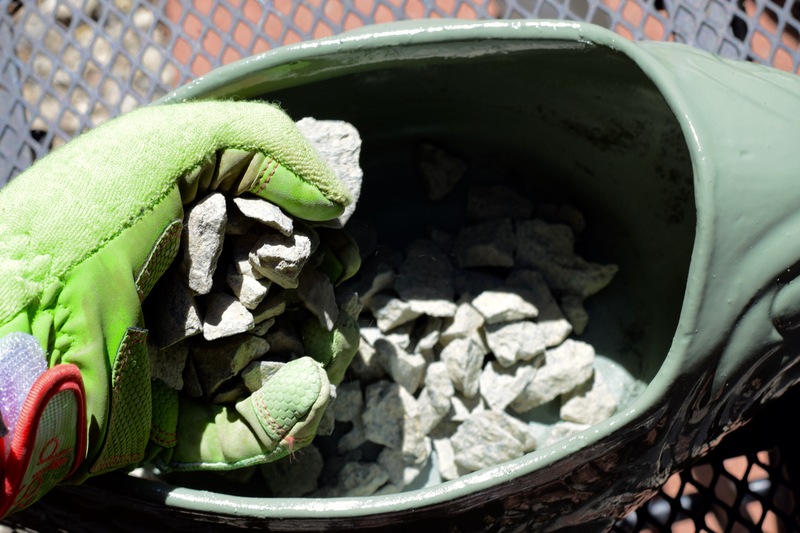 I grabbed a handful of course gravel and dropped it into Fred’s basin. 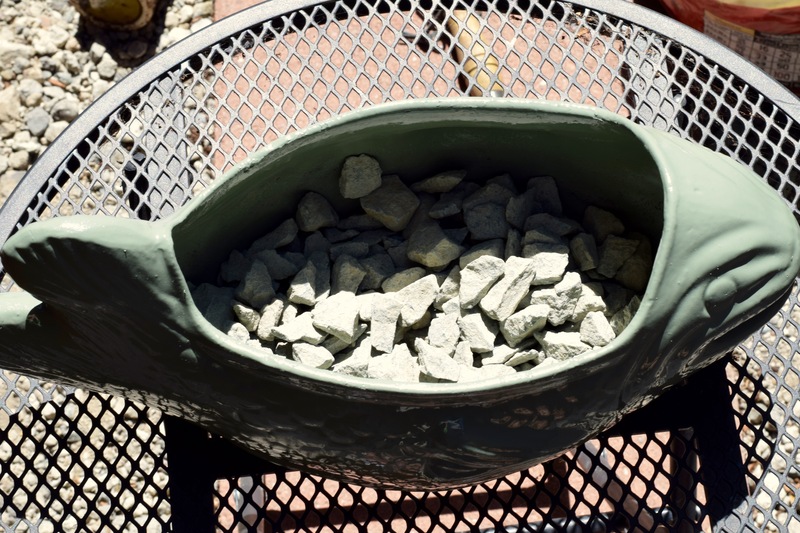 Because succulents hate standing water (as do most plants…) I made sure to layer in quite a bit of gravel. This way if I accidentally overwater, I won’t kill them. Hopefully! 🙂 You can see here, I certainly wasn’t shy with the gravel. He’s about 3/8 full of gravel. 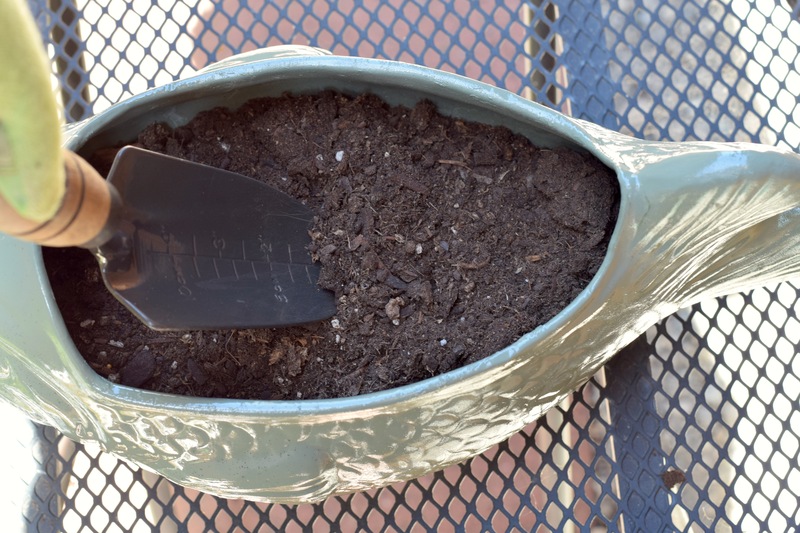 Not a ton of room for soil, but succulents do o.k. in shallow areas. I then layered in the dirt! Which makes me happy, because suddenly Fred went from sad and empty to full of promise! Dirt means growth! Growth means plants! Hopefully plants would survive! You can see there was about 2 inches of dirt over the gravel. Enough to poke into a bit for the succulents, but still enough room for me to add more after placing them. Also sidenote — I LOVE these pink and green gardening gloves I got at Home Depot. So happy! So bright! Now that it was finally time to plant (can you tell I am pretty much the least patient person in the world?! ), I decided to start with the largest succulent first. 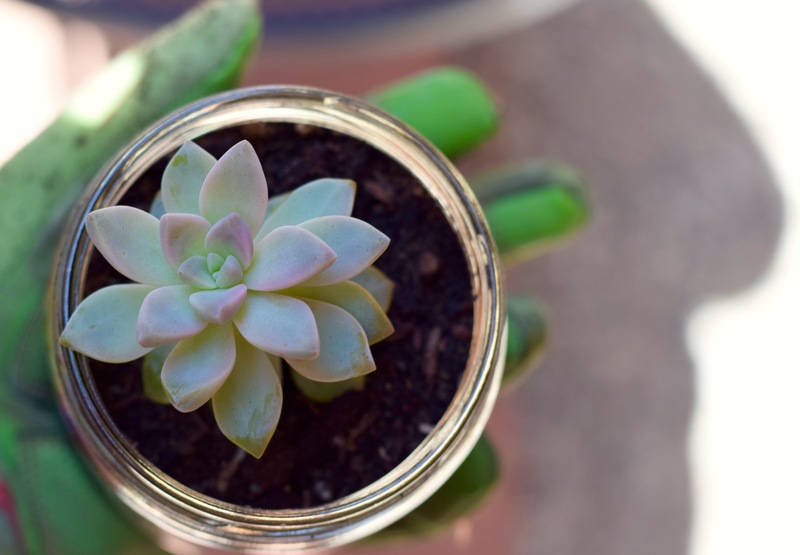 I took the succulent and gently squeezed it out of it’s container. 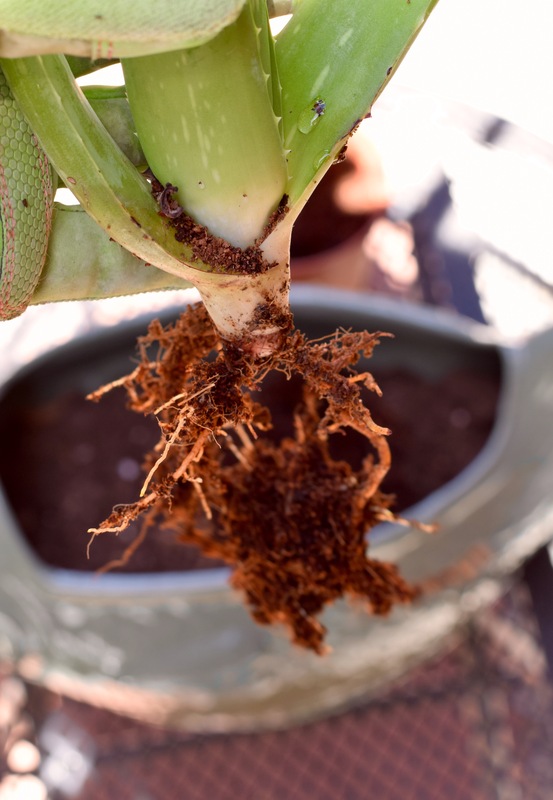 Then I crumbled off the dirt into my potting soil bag until I could see the roots. This one I can actually name. 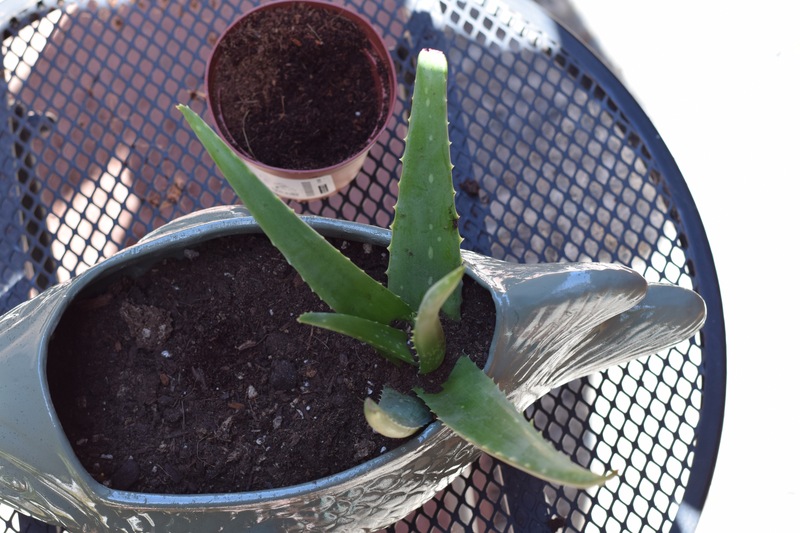 It’s Aloe Vera, friend to all who burn easily. 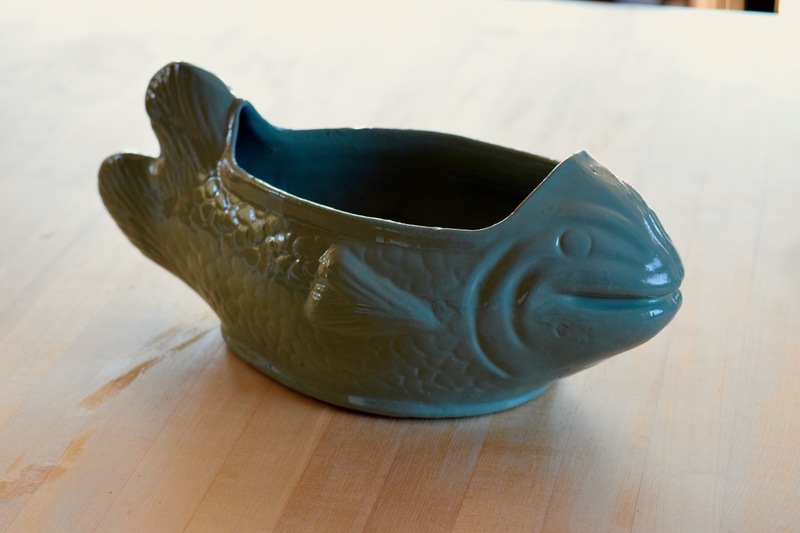 Don’t you dare try breaking off some of this guy for your sunburn though!! I was actually surprised that the root balls of these succulents were so small. It explained why they weren’t looking particularly fantastic. This taller one had been pretty flimsy in the plastic temporary pot. I’m assuming it wasn’t very healthy. Anyone know why succulents would do this? 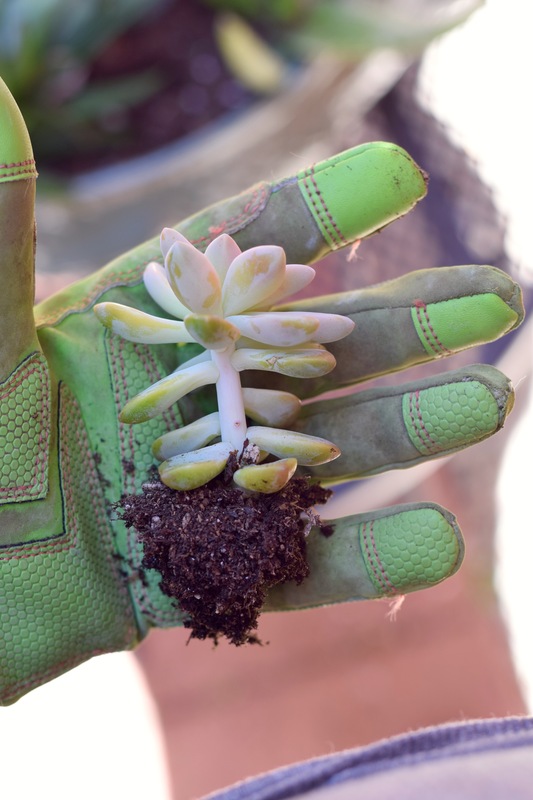 I placed the succulent into Fred’s basin, carefully spooning more dirt in around him, and gently pressing it down around the succulent with two fingers. 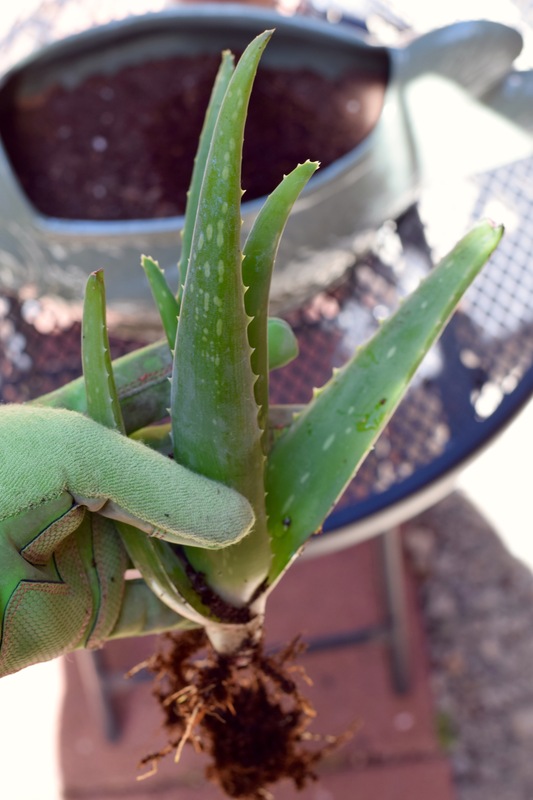 At this point, there was too much soil in between the arms of the aloe vera. I later scooped most of it it out with a finger. Fred was pretty cool with the Aloe sticky out of his lower back. This is totally a new look. I’m going to make something similar out of cardboard for myself and copy that trendsetter! 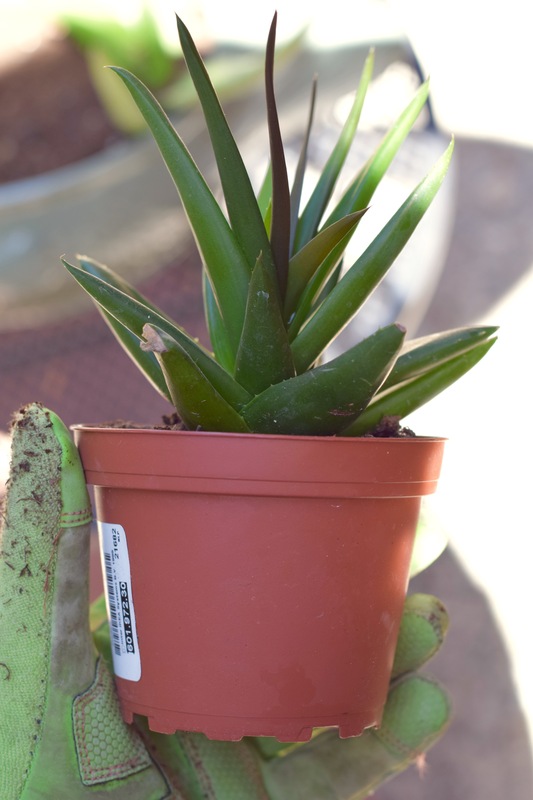 The next guy was also spiky like the aloe plant, but shorter. I decided this prickly little lady needed to stand opposite her taller friend. Two plants in, Fred the Fish was looking good!! Gah! It makes me so joyous! I’m such a plant nerd. 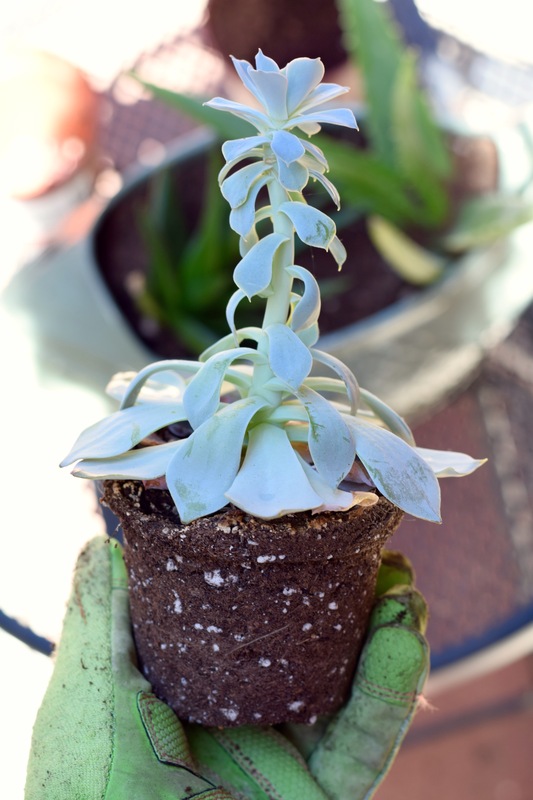 The next plant — another succulent about whose name I have not clue– started out really short, but several months in my bathroom later, had grown into a long skinny thing. I’m assuming this was due to the lack of natural light in my bathroom? 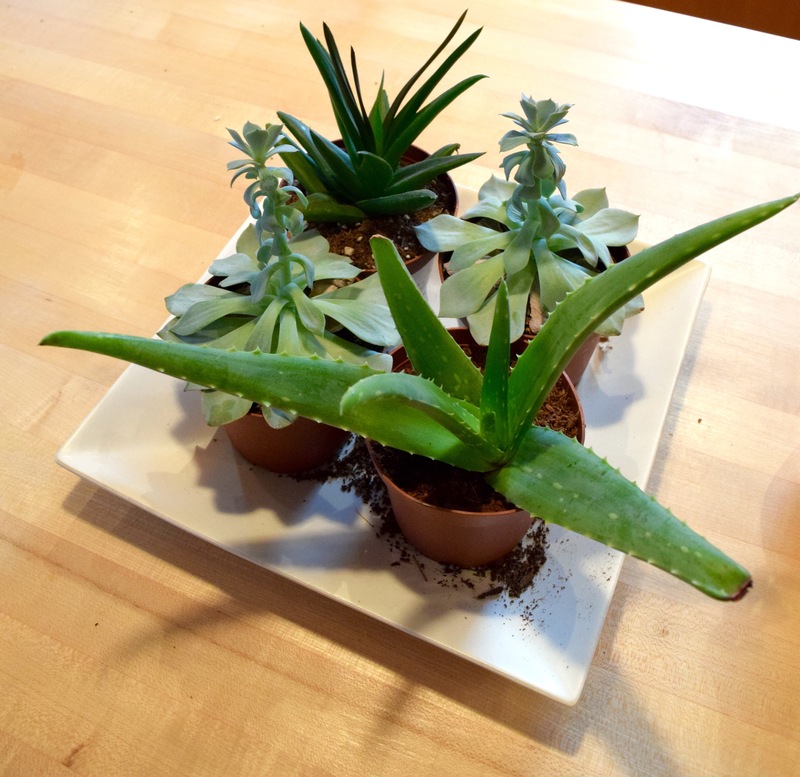 Maybe they are supposed to look this way… Who is good with plants out there?? Its rootball looked a bit bigger though! Thank goodness. Finally, the last succulent was one I’d actually saved from the driveway. We have hens & chicks (the plants not the animals) lining our driveway and every now and then they get a little beat up. This one I saw sitting out there on the concrete all by his lonesome self. He must have come off the larger plant when it got brushed with a car wheel or something. 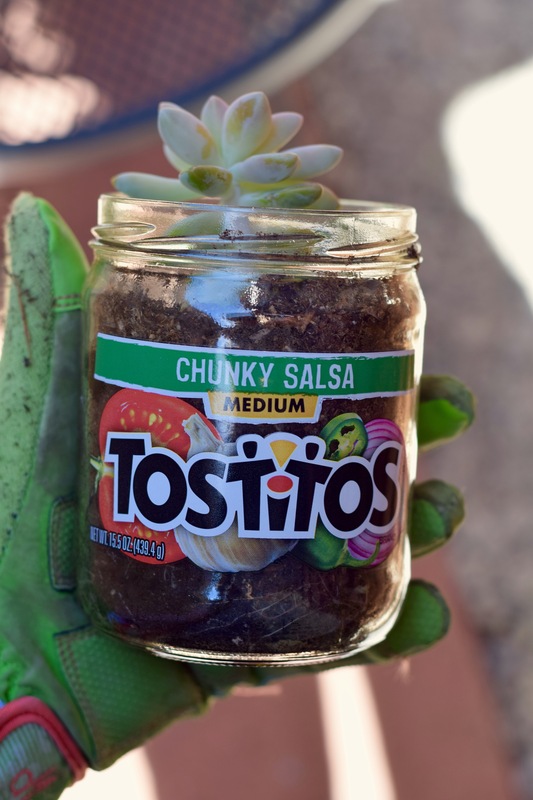 I planted him, with the help of my good friend Hannah, into this salsa jar someone brought to our housewarming party. He sat in my kitchen window for the next couple of months, getting lots of sun. This guy was the smallest by far, but definitely healthier than the IKEA ones. He epitomized small but mighty! After I planted this fourth guy, Fred was pretty full. I topped the Mr. 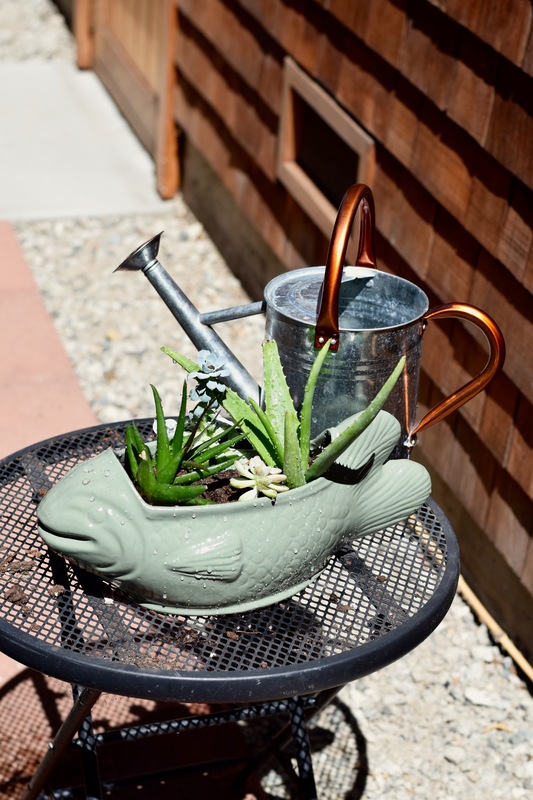 Fish off with more potting soil, again pressing gently, but firmly down around each succulents. Fred was looking good, guys! A little dirty due to the planting, but getting there! You can totally tell how super bright it was the day I planted everybody in Fred. I think it was about 90 degrees that weekend. Yay September in California! To clean things up, I gave Fred a good dowsing with water lovingly admired him glistening in the sun like a new mother looking at her tiny babe before bringing him inside. I brought Fred the Fish inside and let him sit in the kitchen for a couple weeks before I took the rest of these pictures. 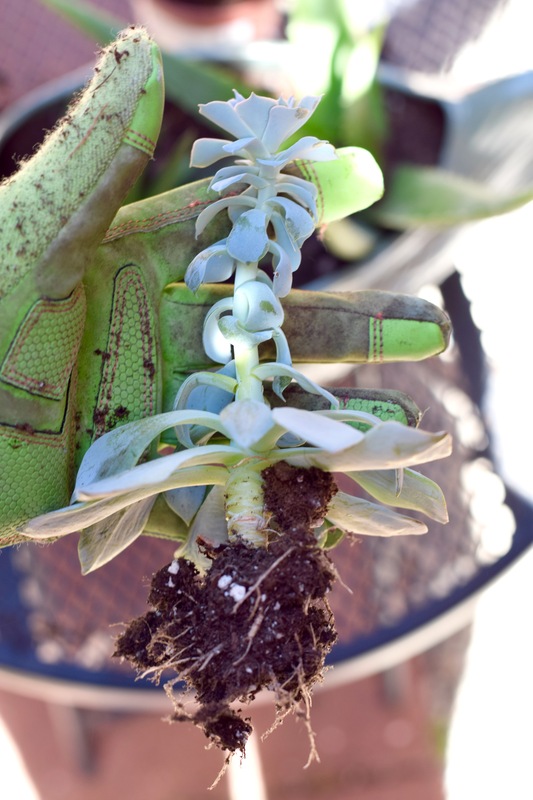 I wanted the succulents to get a chance to root and root they did! They look so good! Fred the Fish looks fantastic! I am so not biased at all. I just love how he looks in the kitchen! Remember what he looked like before?! And look at him now! The green is such a nice color. It’s really the perfect sage-y grey-green. It looks fantastic with the butcher block on our island. Such a nice change from the brown! From above the succulents are just shining! They have rooted more firmly and no longer give when I tug on them gently. I hope they grow out a bit. I’d love to have time pooling over the side just a little bit more. 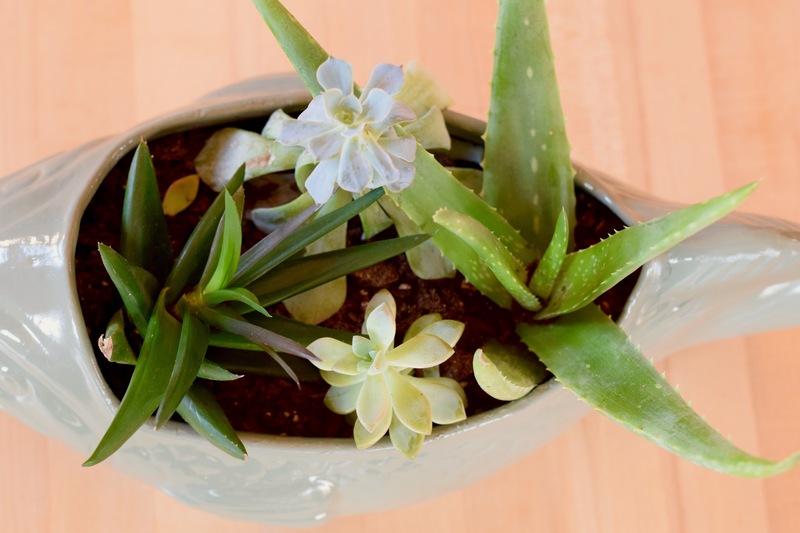 Luckily the shapes of the succulents and their varying sizes gives a lot of texture. They aren’t falling over the edges, but the definitely stick out over them from above! Oh my god, you guys, have I mentioned that I LOVE HIM? Just look at that glossy face! Look at the glint in his eye! He’s so beautiful!! I get to walk into my house every day and look that beautiful face! I am so happy with how he turned out. It’s wonderful to have this piece of my grandmother in my life every single day. It’s the first thing I see when I walk into my house. I couldn’t be more pleased. It’s so bright and happy. 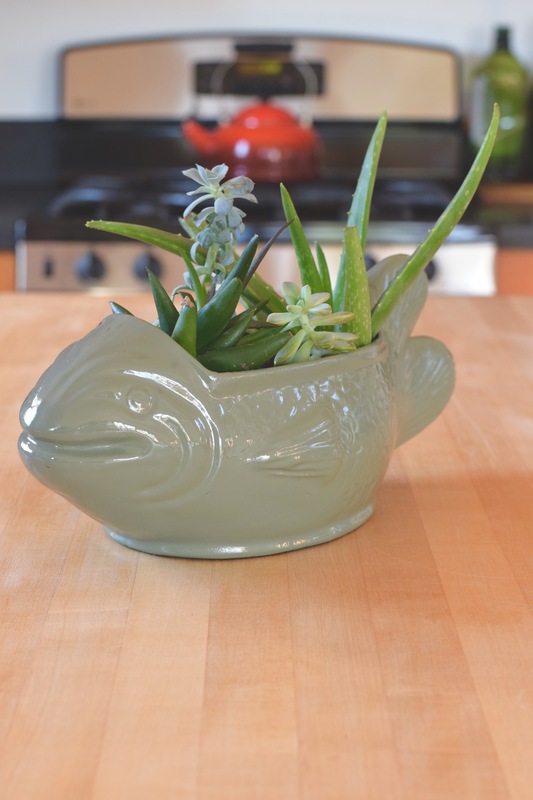 I love that the succulents show off the shape of the fish more. It looks so inviting! You can actually tell he’s a fish. I envisioned him pretty much exactly like this and he turned out so well. This is definitely an accomplishment for me, because everything I design in my brain is so perfect, reality can sometimes be a little disappointing. Frequently when I’m crafting or cooking. Hahaha. 🙂 Not with Fred though! Fred the Fish, I could marry that guy. Maybe I’ll just give him a smooch and see if he turns into my prince. Oh wait — that was a frog wasn’t it? Oops! 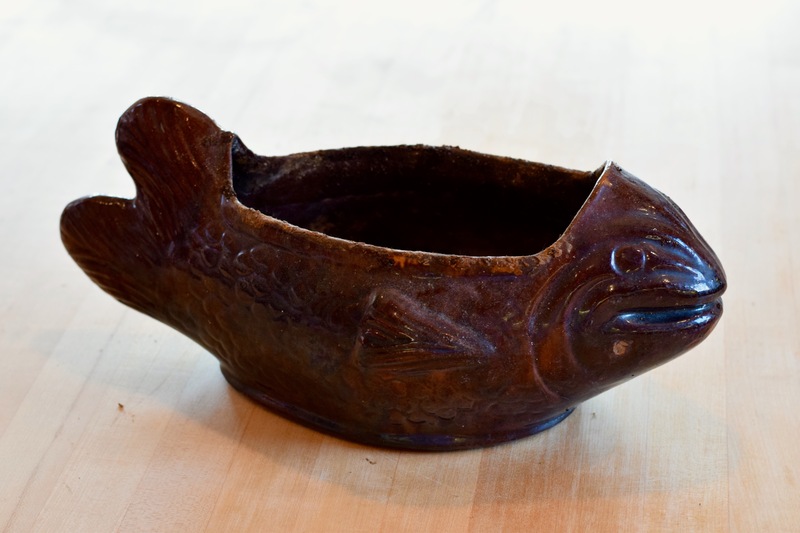 Do you have something of your grandparent’s that you’ve revitalized and use everyday? Do you have Fred the Fish’s twin? Let me know what you think.